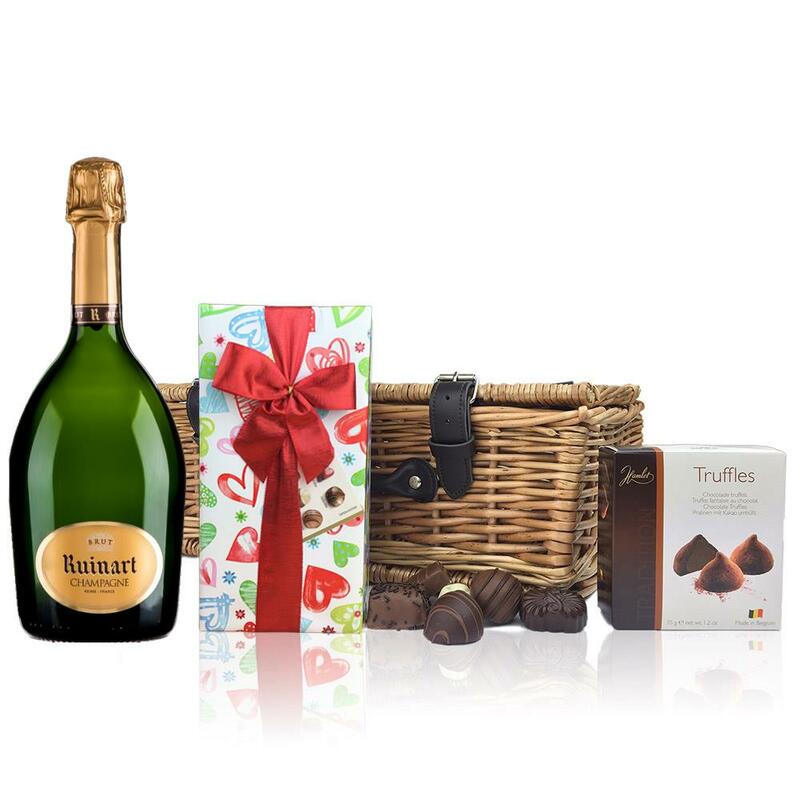 Ruinart Brut 75cl Champagne bottle - Gift Boxed and Chocolates Hamper A delightful gift of Ruinart Brut 75cl Champagne bottle - Gift Boxed along with a box of Hamlet Belgian Chocolate Truffles (35g) and Belgid'Or Fine Belgin Choclates (175g) all packed in a wicker hamper with leather straps lined with wood wool. All gifts come with a gift card with a message of your choice. 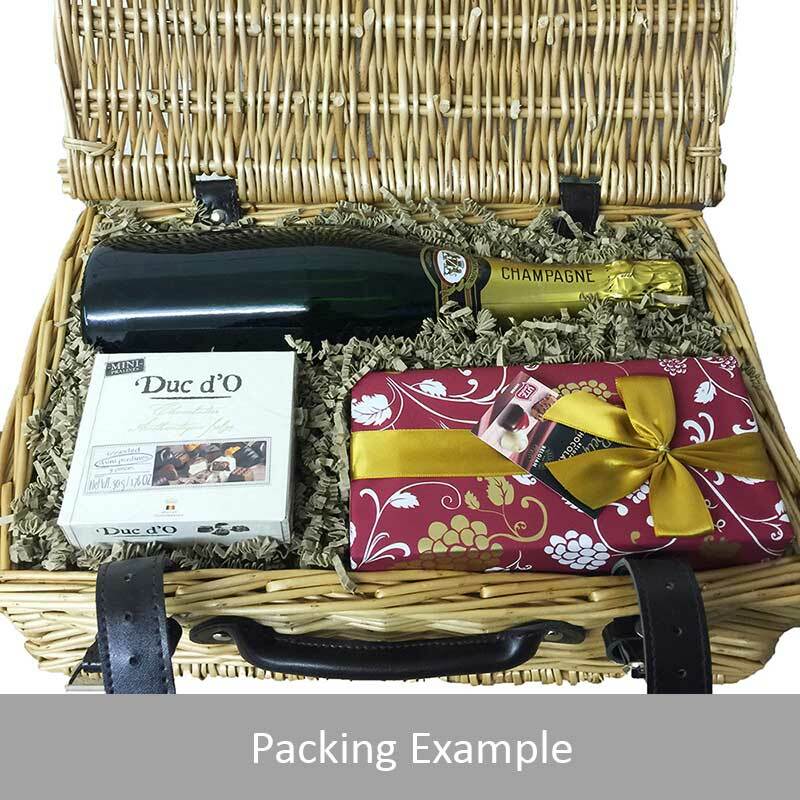 Ruinart Brut 75cl Champagne bottle - Gift Boxed Ruinart Brut Champagne NV where the care talent and skill of the cellar master will all contribute to the making of this champagne. Golden and delicate showing such subtle aromas this perfect blend of chardonnay and pinot noir will give a sparkle to every moment in life. 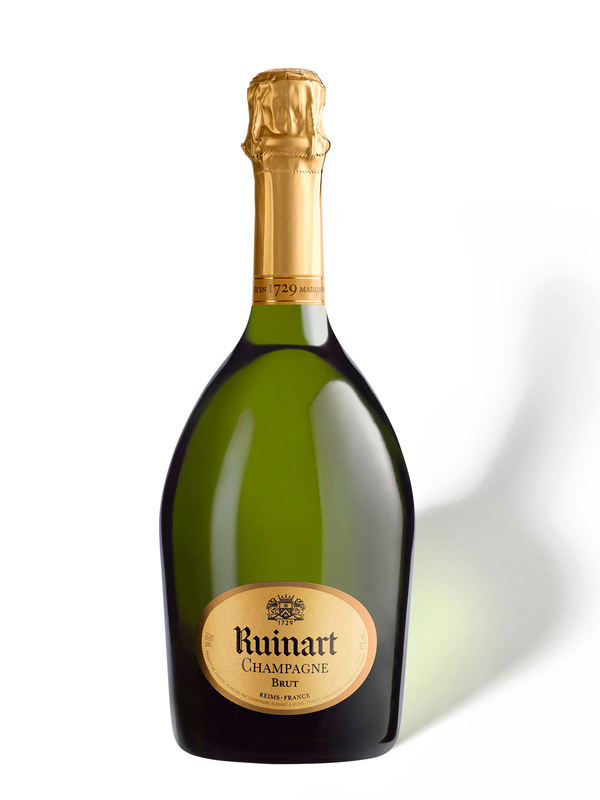 Aromas of white fruit predominate this champagne whilst on the palate the wine is both round and soft. A champagne to celebrate every occasion in life.